Ceramic, 6/4 L wall-mounted wash down WC part of the CITTERIO range. Includes hidden wall fixings. Can be combined with a CITTERIO seat and cover with a soft closing mechanism. CX9664XX: Concealed cistern, SSIO, 6/ 4 litre dual flush, (no push button) delayed action inlet valve. Air button, dual flush, small button, chrome plated. Air button, dual flush, mini plate 80 x 124 mm chrome plated. Air button, dual flush, large plate 150 x 230mm chrome plated. 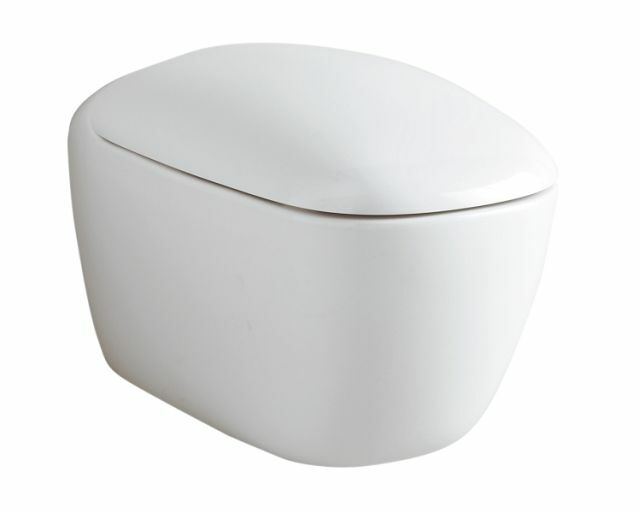 573500000 - WC seat with soft closing mechanism. SR8138XX - Wall hung fixing kit.